Sharice recently returned to the Kansas City area after concluding her time as a White House Fellow. She was placed in the Office of the Secretary of Transportation and had the privilege of working on a number of key initiatives of then Secretary Anthony Foxx. 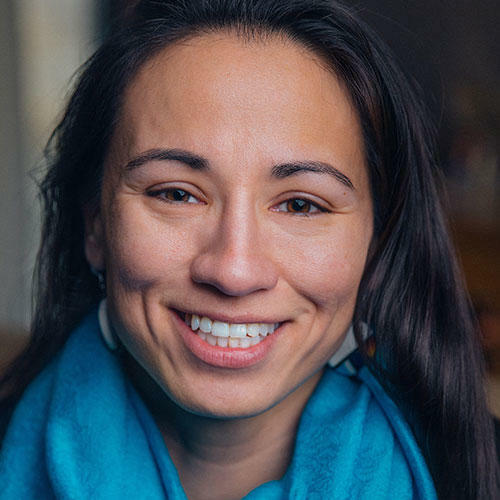 Prior to selection as a White House Fellow, Sharice served as the Deputy Director of Thunder Valley CDC in Porcupine, South Dakota on the Pine Ridge Indian Reservation where she managed a variety of day-to-day operations, acted as in house legal counsel, and laid the foundation for a social enterprise program. She is from the Ho-Chunk Nation in Wisconsin, and has dedicated most of her professional life to economic development in Native American communities. In 2010, Sharice began her legal career in the Kansas City office of an international law firm as a corporate transactional attorney working on mergers and acquisitions for private equity clients and economic development transactions with Native American tribes. After leaving corporate practice, she moved to the Pine Ridge Reservation where she took a position with a high school as the Director of an Economic Development Initiative where she developed an entrepreneurship curriculum. After the development of the entrepreneurship program, Sharice started Hoka Coffee Company. Sharice received a B.B.A. from the University of Missouri in Kansas City and a J.D. from Cornell Law School. She is an avid martial artist and has competed at the amateur and professional levels in mixed martial arts.